In personal finance, we always talk about a person’s financial statements: one’s assets, liabilities, income and expenses. But what has been missing most of the time are personal financial stories. The financial statement is the outcome, but the stories are the processes and the lessons where we can learn. Everybody has his own story to tell. Everyone has his or her own drama in life: the joys, sorrows, happiness and triumphs. Some tell it and pass it on to their friends or the next generation; but some keep it to themselves. I write this article in homage to certain people in mind. People who struggled to bear silently their family’s finances. Some of them started their struggle early on in life–during elementary days–with their parents earning hardly enough to send them to school. They would have to buy and sell newspapers, bottles and cans just to add to their school budget. Others had their difficulties during college, with their family savings going into bad businesses or scams. They saved up on their already limited allowances, cutting up ordinary college gimmick expenses so they can photocopy school readings and be able to go home riding ordinary public transportation. Some have been born in the slums at the very beginning: they held onto their dreams and thus were able to build a successful career and provide their children the education almost denied them; after which, they generously helped other people in the slum areas to also achieve their dreams. Some people come from broken families. Blessed with talent, they used this to work while pursuing college degree. After which, they succeed in both, having a degree and a career in their art. Lastly, some started out selling in the streets or in a sari-sari store, and through perseverance, became successful entrepreneurs. For those who have mouths to feed, who have dreams to achieve, who have other’s lives depend on them, the responsibility is tremendous. It is not that money was their end-all and be-all. It’s just that flesh and blood depend on them so they strived and persevered. There was a deep need to be filled that drove them to their limits and pushed them to be smart in handling their finances. They strove, they cut expenses, they lived within their means, they sacrificed, they went hungry, they walked, they took public transportation, they labored while others enjoyed, they felt fear and despair, but never without hope. They did not enjoy fancy vacations nor have the latest gadget or shop in posh outlets. Well, not until they could really afford it, and have lots of cash left notwithstanding. This really, is personal finance to the barest, simplest form: expanding their means while minimizing their expenses. All tools and techniques in personal finance will be for nought if not for the big need each one of us have. It is the big “Why”—the purpose, the drive, the root and passion that make money matters serious and not just a trifle fancy. My entrepreneur friend, on telling me his life story, revealed to me his big “Why” in building up his business: his father died, his mom has no work, and he has two younger siblings still in school. He said that during his father’s last days, he was told by his dad to take care of their family. This became his driving force in setting up a fastfood business, which became hugely successful. And now he sends his siblings to school and became the family breadwinner, fulfilling his father’s dying wish. I have done many seminars on personal finance, talked to hundreds of people, and I have always stressed that having one’s dream in life is crucial and critical in one’s finances: nailed to the bone and driven to the spirit. These are the things needed to be planned, molded, nurtured, and built upon. These are why personal finance is there on the first place. Another thing, these people took risks. They took risks in their career, in doing business, in being ridiculed. They took risks with their money. The measure of their risks have been in direct proportion to their successes. It is because they had nothing to lose, but everything to gain. And they indeed gained, after all their sacrifices. The stories above are not yet finished. For some, the finish line is still leagues away. But they are already reaping the fruits of their labor. But for some, the race is almost over, and now they try to build a better future for the next generation. Their story is not alone as there are more stories of hardships, challenges, and successes. These stories abound as I continue to talk to people and being inspired by them. They make me push myself ever more to help people build a better future for themselves, their family, and those who are “next in line”. It is easy to get by the math and the numbers of personal finance, but the “Whys”—the big “Whys”—are the hardest to come by. These “Whys”—or the lack of it—shall determine any person’s financial story. How about you, what’s your financial story? Rienzie Biolena is a Registered Financial Planner of RFP Philippines. 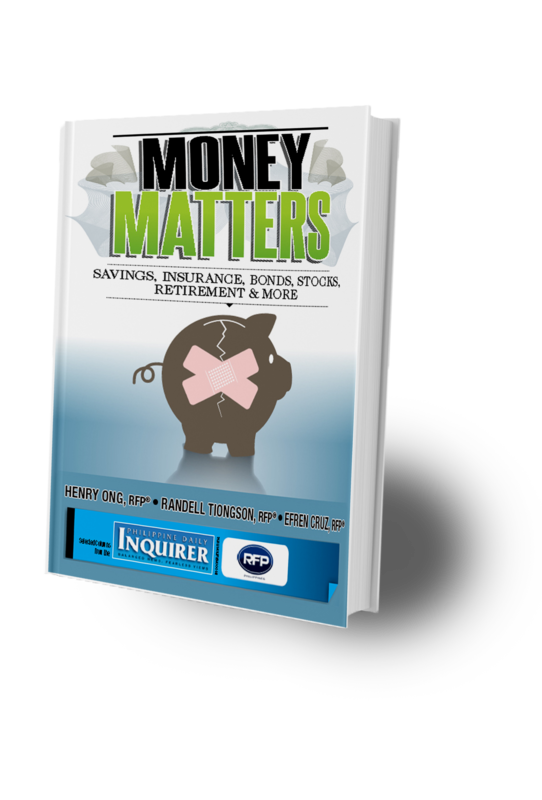 He is a Senior Financial Advisor at asset management company, and Columnist of The Manila Times.